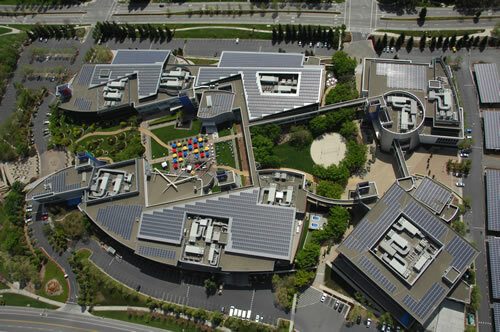 The Googleplex headquarters in Mountain View, California, boasts one of the largest corporate solar power structures in the country. The array consists of 9,212 solar panels produced by Sharp Electronics, with a capacity of 1.6 megawatts (MW), which covers about 30% of Google’s electricity requirements for this location — roughly the equivalent of 1,000 California homes. 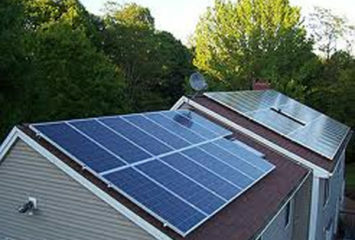 It is said that this installation saves Google $393,000 in electricity every year. One of the most unique features of the Googleplex solar-panel array is the cluster of solar trees. These parking-lot covers are designed to keep cars cool, while also producing electricity for both the Googleplex facility and the employees’ plug-in hybrid electric vehicles (PHEVs). 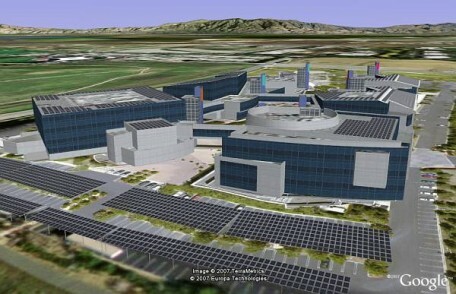 In the rendering shown directly below (taken from Google Earth and Sketchup), you can see the solar trees off to the bottom left. Google has long been a leader in environmental stewardship, including employee discounts on hybrid cars. Now that many Google employee hybrid owners are upgrading their cars for plug-in service at places like Pat’s Garage in San Francisco (which costs about $10,000), Google is offering free charging as another incentive. 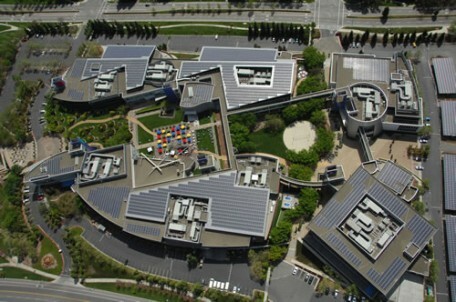 I live near the Googleplex facility, and have seen even more solar arrays being installed in the past couple of years. 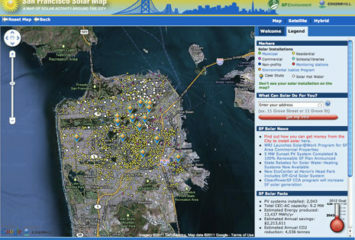 Google is also drawing on solar power for many of its data centers around the world. And in addition to leveraging clean technology for its own use, Google has expanded into testing products such as the Bloom Box on its sites. The company is also laying electrical wires off the east coast of the USA to transport energy produced by Atlantic based wind turbines.